Lennon was shot dead outside the Dakota building in Manhattan on December 8 1980. Sir Paul McCartney has remembered his former Beatles bandmate John Lennon at a march against gun violence in the student-led March For Our Lives. The musician, 75, was at the New York City rally on Saturday which started close to the apartment building where Lennon was shot in 1980. 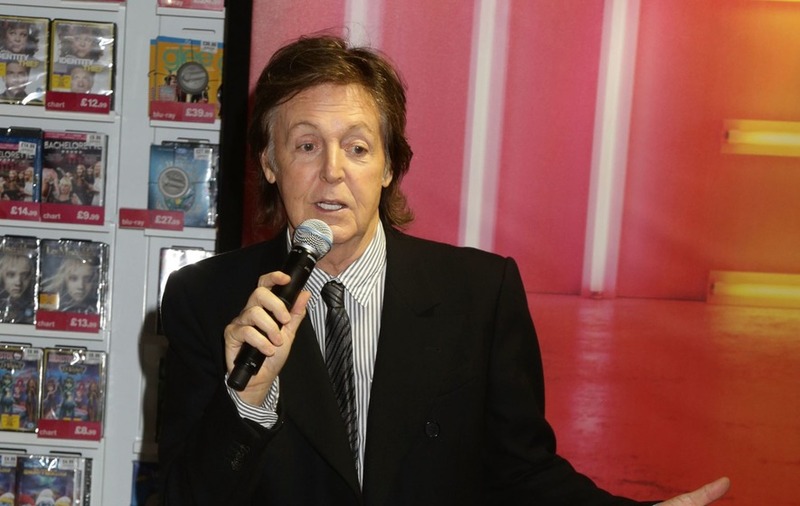 Sir Paul told CNN he had come “just to support the people” before referencing the death of his childhood friend who he formed The Beatles with. The main protest organised by students in the wake of the massacre at Marjory Stoneman Douglas High School is being held in Washington DC but hundreds more are taking place across the US and world including in New York City. Lennon was shot dead outside the Dakota building where he lived with wife Yoko Ono in Manhattan on December 8 1980, two months after his 40th birthday.